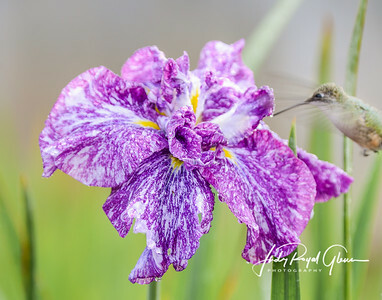 Judy Royal Glenn is a Georgia wildlife and nature photographer who loves to photograph bears, birds (especially hummingbirds) and flowers. 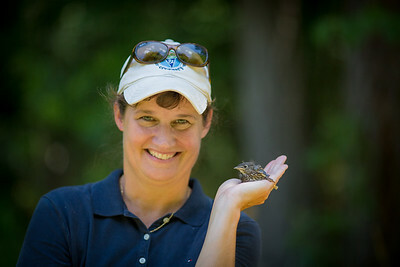 She created the Hummingbird Trail at the State Botanical Garden of Georgia and leads Hummingbird Trail walks. Jesus is behind all Judy does as a wildlife and nature photographer. She feels the Lord allows her to "see" through His eyes. She even photographed two miracles at once! I am a wildlife and nature photographer from Athens, Georgia and so to no surprise, my passion and joy are to photograph wildlife and nature. For years, my favorite subject to photograph was hummingbirds, but once I started photographing black bears, that quickly changed. Nothing is sweeter than seeing a mama bear interacting with her cubs! Jesus is behind all I do as a photographer. I feel the Lord reveals Himself to me through His nature and feel this is a gift that allows me to see the raw beauty of creation through His eyes. God produces the image….I just try to capture it. Hopefully, my photography will draw you closer to Him. Every day is a new adventure. I pray and ask the Lord to show me or to bring to me what He wants me to photograph. It is neat to see His answers, many of which are miracles. Since 2013, I have been president of the Athens Photography Guild. I was honored and privileged to be a photography blogger on Guidepost.org and also did a few nature slideshows for Guideposts. Click here to view my "Beautiful Spring Flowers" slideshow I created for Guideposts. Here is a tad about me: I was born in Savannah, Georgia, raised on St. Simons Island, and moved to Athens in 1999. I have a Masters in Physical Education and Health, taught for nineteen years, and coached volleyball and tennis at the high school level. While you are here, please visit my galleries by clicking here. I would love for you to follow my photography on Facebook, Instagram, Google +, Blogger, Flickr, Pinterest, and Twitter! In 2014, I developed the Hummingbird Trail for The State Botanical Garden of Georgia after spending four summers researching where the hummingbirds feed and perch throughout the garden. My photography is displayed on the hummingbird trail maps and on the placards in the garden. Below is a copy of the brochure and map for 2018. I took this photograph which shows two miracles. To read the story, visit here. To purchase this miracle photograph, click here.